Denise graduated St. John?s River Community College with an Associates Degree in General Studies. 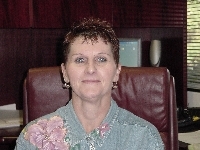 She has over 20 years experience working the Department of Family and Children Services in both Florida and Georgia. She currently contracts with Project Access to provide verification of applicant?s personal information for eligibility requirements. She processes all incoming applications for new patients and re-enrollees. She also assists with patient advocacy and education.